Gift card orders are processed Monday through Friday from 9am to 5pm Central Time. Place your order by 12:00 Noon Central Time and your gift card will ship that day. Orders received over the weekend will be shipped on Monday. Please note: If you would like to use shipping via UPS (2nd day or next day), we must ship to a street address, not a P.O. Box. 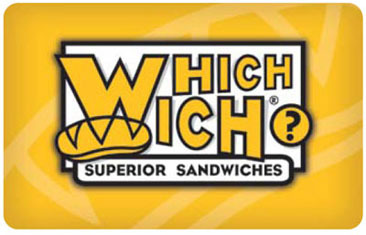 Copyright © 2019 Which Wich? All Rights Reserved.